Hazard: A small metal eyelet can detach from the inside of the sneaker, posing a choking hazard to infants. Consumer Contact: Trimfoot at (800) 325-6116 from 8 a.m. to 4:30 p.m. Monday through Friday, or online at www.trimfootco.com, then click on Recall on left side of the page for more information. Description: The recall involves First Impressions high-top, soft-soled sneakers for infants that are crawling or standing. The recalled shoes have blue denim soles and uppers, brown canvas tongues, tan shoe laces and white polyurethane toes. Each upper has eight 3/16 inch eyelets for the laces. The shoes came in sizes 0, 1, 2 and 3. Style number 42090 is on a cloth tag inside of shoe. Remedy: Consumers should immediately take the recalled shoes away from children and return the shoes to Macy's or contact Trimfoot for a full refund. Sold exclusively at: Macy’s stores nationwide from February 2014 to August, 2014 for about $17. Importer: Trimfoot Co. LLC., of Farmington, Mo. Hazard: The sweaters have a drawstring around the neck area which poses a strangulation hazard to children. Drawstrings can become entangled or caught on playground slides, hand rails, school bus doors or other moving objects, posing a significant strangulation or an entanglement hazard to children. In February 1996, CPSC issued guidelines about drawstrings in children's upper outerwear. In 1997, those guidelines were incorporated into a voluntary standard. Then, in July 2011, based on the guidelines and voluntary standard, CPSC issued a federal regulation. CPSC's actions demonstrate a commitment to help prevent children from strangling or getting entangled on neck and waist drawstrings in upper outerwear, such as jackets and sweatshirts. Consumer Contact: Chantique’s Corp collect at (213) 629-3222 from 9:00 a.m. to 5:00 p.m. PT, Monday through Friday or email at info@chantiquesshowroom.com for more information. Description: This recall involves a Pure Baby Organic boy’s hoodie made of 100% cotton. It comes in solid gray with a red drawstring that is inside the lining of the hood that surrounds the face. They have a zipper front closure. 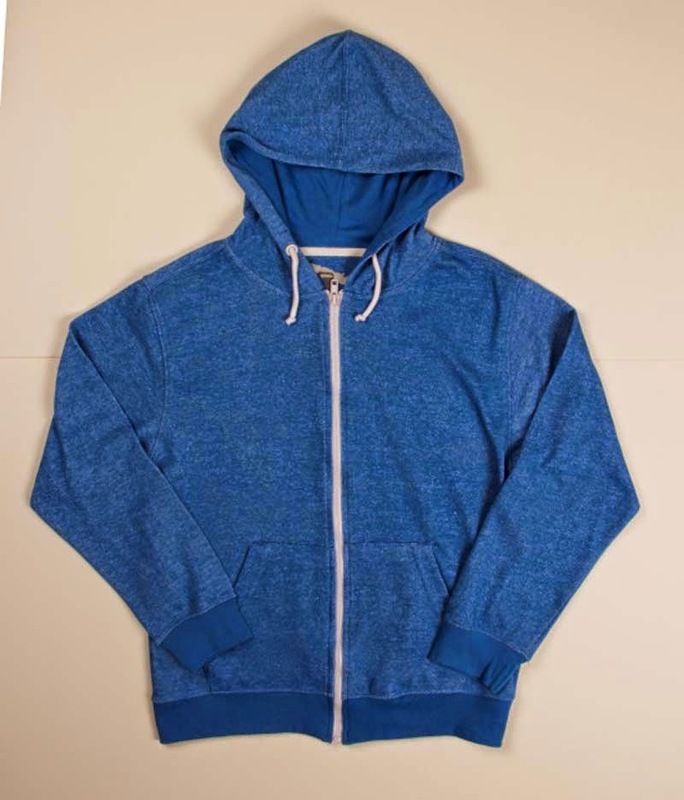 The recalled hoodies were sold in toddler boy’s sizes 2t to boy’s size 3. There is a white label sewn into the neck line that has the name Purebaby on it. There is also a label underneath it that has the size printed on it and states Made in India. A label with style number PB1613.B12 is sewn into an inside side seam of the garment under the washing instruction label. Remedy: Consumers should immediately take the hoodie away from children. Consumers can remove the drawstring from the garment to eliminate the hazard or return it to the place of purchase for a full refund. Sold at: Children’s boutiques nationwide and other stores such as Elephant Ears, Pumpkin heads, Sprouts and on-line at www.Nordstromrack.com from January 2014 through August 2014 for about $62. Importer: Chantique’s Corp., Los Angeles, Calif. The Woolmark brand is the world’s best-known textile fibre brand. It provides consumers with guaranteed fiber content and an assurance of quality. Companies that become Woolmark licensees can use the Woolmark logo on their products as an independent quality endorsement, thereby providing licensees with differentiation within the marketplace. The Woolmark Company takes misuse of the Woolmark trademarks seriously. The Woolmark Company will take necessary measures to protect the integrity of its trademarks and will investigate all reports of potential misuse. The Woolmark Company asks that if you become aware of any misuse of the Woolmark trademarks that you report the misuse by completing the report below. Aurora Industries, LLC, Camuy, Puerto Rico, has been awarded a maximum $11,533,632 modification (P0004) exercising the first option year on a one-year base contract (SPE1C1-14-D-1068), with three one-year option periods. This is a firm-fixed-price contract for flame resistant combat coats and trousers. Location of performance is Puerto Rico, with a Sept. 15, 2015, performance completion date. Using military service is Army. Type of appropriation is fiscal 2014 defense working capital funds. The contracting activity is the Defense Logistics Agency Troop Support, Philadelphia, Pennsylvania. Standard Safety Equipment, McHenry, Illinois, has been awarded a maximum $7,542,000 firm-fixed-price contract for waterproof clothing bags. This contract was a competitive acquisition, and four offers were received. This is a one-year base contract with two one-year option periods. Location of performance is Illinois, with a Sept. 30, 2015, performance completion date. Using military service is Army. Type of appropriation is fiscal 2015 defense working capital funds. The contracting activity is the Defense Logistics Agency Troop Support, Philadelphia, Pennsylvania (SPE1C1-14-D-1082). Hazard: The sweatshirts have drawstrings around the neck area which pose a strangulation hazard to children. Drawstrings can become entangled or caught on playground slides, hand rails, school bus doors or other moving objects, posing a significant strangulation or an entanglement hazard to children. In February 1996, CPSC issued guidelines about drawstrings in children's upper outerwear. In 1997, those guidelines were incorporated into a voluntary standard. Then, in July 2011, based on the guidelines and voluntary standard, CPSC issued a federal regulation. CPSC's actions demonstrate a commitment to help prevent children from strangling or getting entangled on neck and waist drawstrings in upper outerwear, such as jackets and sweatshirts. Remedy: Contact Active Apparel toll-free at (844) 861-5308 from 9 a.m. to 5:00 p.m. PT Monday through Friday or online at www.activeapparel.net and click on the Recall tab located at the top of the home page. Consumers should immediately take the sweatshirt away from children. Consumers can remove the drawstring from the sweatshirt to eliminate the hazard or return it to the place of purchase for a full refund and a $10 gift card. Description: This recall involves boys Fission zipper hooded sweatshirts made of 100% cotton. The sweatshirts come in black, green, royal blue, true red and turquoise color. There is a white drawstring tie that is attached on each side of the neck area. There are two pockets and a white zipper on the front of the garment. The recalled sweatshirts were sold in boys sizes small (size 8-10) and medium (size 12-14). The size can be found on the label that is sewn into the seam of the neck area. There is also a white label sewn into the lower left seam inside the garment. On the label, it states Karachi Pakistan, Active Apparel, has the manufacture date “MAY, 2014,” and batch number 61271,159. Sold at Fred Myer and Kroger stores nationwide from June 2014 through August 2014 for about $18. Importer: Active Apparel, Mira Loma, California. Title:             84--Hazard Risk Category 2 Flame Resistant Protection (FRP) Personal Protective Equipment (PPE) garments. The Third Annual Fibershed Wool & Fine Fiber Symposium, will feature informative presentations on breeding practices that build heirloom garments, plus predator- and pollinator-friendly practices that harmonize and blur the line between wild and domestic spaces, all bringing beauty and function to our fields and wardrobes. Experts will be offering hands-on demonstrations (sheep shearing, skirting fleece, wool grading, angora rabbit shearing, cashmere fiber processing, felting, natural dyes). And a host of amazing artisans and farmers will be selling their freshly farmed, locally grown & made creations and fibers. There will also be displays of fibers from around the region and pollinator plants for enhancing diversity. BUY TICKETS securely through Paypal on at www.fibershed.com/wool-symposium-2014. Or contact fibershed@gmail.com if you would like to make other arrangements for ticket purchase. A host of amazing artisans and farmers will be selling their freshly farmed, locally grown & made creations and fibers, on sale in the church building, as well as inside the Symposium. The Marketplace in the church building is open to the public at no charge. THE SYMPOSIUM WILL BE STREAMING LIVE! For those who are unable to attend, we will be streaming live from our website, and videos of the day will be archived for viewing at any time. Two marketers of women's shapewear undergarments have settled Federal Trade Commission charges that slimming claims for their caffeine-infused products were false and not substantiated by scientific evidence. The proposed orders settling the Federal Trade Commission's complaints bar Norm Thompson Outfitters, Inc., and Wacoal America, Inc., from making false and unsubstantiated claims about their shapewear and require them to pay a total of more than $1.5 million for consumer refunds. The FTC's complaint against Norm Thompson Outfitters alleges the company deceptively advertised, marketed, and sold women's undergarments infused with microencapsulated caffeine, retinol, and other ingredients, claiming the shapewear would slim and reshape the wearer's body and reduce cellulite. The products, made with Lytess brand fabrics, were sold via mail order and on the company's Norm Thompson Outfitters, Sahalie, Body Solutions, and Body*Belle websites. The complaint against Wacoal America contains similar allegations. It charges that the company's iPants supposedly slimmed the body and reduced cellulite. Specifically, the company made false and unsubstantiated claims that wearing iPants would: substantially reduce cellulite; cause a substantial reduction in the wearer's thigh measurements; and destroy fat cells, resulting in substantial slimming. The complaint alleges that these claims are not true or substantiated by scientific evidence, and therefore also violate the FTC Act. NOTE: The Commission issues an administrative complaint when it has reason to believe that the law has been or is being violated, and it appears to the Commission that a proceeding is in the public interest. When the Commission issues a consent order on a final basis, it carries the force of law with respect to future actions. Each violation of such an order may result in a civil penalty of up to $16,000. What can other companies take from these cases? Substantiation for objective claims: A foundational principle. When selling unmentionables, most advertisers mention fit, comfort, or other subjective attributes. But the law draws a sharp distinction between a suggestion that a certain kind of underwear may help people look or feel better while wearing it vs. an affirmative representation (especially one supposedly supported with scientific evidence) that it will reduce cellulite, shrink hips or thighs, and destroy fat. If you don’t have a solid underpinning for what you say, don’t make objective claims that are subject to the FTC’s long-standing reasonable basis standard. A brief word on testing methodology. In both cases, the FTC challenged the way the underlying studies were conducted. Of course, the appropriate methodology will depend on – among other things – the nature of the claim and what experts in the field believe is necessary to support it. But uncontrolled, unblinded tests for caffeine-infused fat-dehydrating underwear? A prudent advertiser would evaluate the methodology with care. When recapping results, remove the rose-colored glasses. Even putting aside the fundamental flaws in methodology, the FTC says Wacoal and Norm Thompson falsely reported the results of their studies. As these cases suggest, it's unwise to build an ad campaign around statistical outliers. Basing claims on best-case-scenario findings could lead to a worst-case-scenario result for advertisers. David Trumbull, Principal, Agathon Associates, has 20-years experience working with the FTC. We can assist you with LABEL ADVISOR, which offers "Smart guidance for U.S. label compliance: SO SMART, SEW RIGHT." Contact David at 202-657-6008 or david@agathonassociates.com. On September 26, 2014, the Office of the United States Trade Representative published in the Federal Register (79 FR 58026 [Docket No. USTR-2014-0017] 2014 Special 301 Out-of-Cycle Review of Notorious Markets: Request for Public Comments. The Office of the United States Trade Representative ("USTR") requests written comments from the public identifying Internet and physical markets based outside the United States that should be included in the 2014 Notorious Markets List. In 2010, USTR began publishing the Notorious Markets List separately from the annual Special 301 Report as an "Out-of-Cycle Review." The Notorious Markets List ("List") identifies online and physical marketplaces that reportedly engage in and facilitate substantial copyright piracy and trademark counterfeiting. The deadline for interested parties to submit written comments is 11:59 p.m. (EDT) on October 24, 2014. Interested parties who wish to provide rebuttal or other information to be considered during the review may do so through this docket until 11:59 p.m. (EDT) on October 31, 2014. On Monday, September 22nd, David Trumbull spoke on the proposed Transatlantic Trade and Investment Partnership ("T-TIP") at the University of Rhode Island Cotton Summit. His slides are available for view by CLICKING HERE. On September 17, 2014, the FTC published in the Federal Register (79 FR 55615) Mail or Telephone Order Merchandise; Final rule. The provisions of the final Rule will become effective on December 8, 2014. The final amendments modify the Rule in four ways. They clarify that the Rule covers all Internet merchandise orders, regardless of the method consumers use to access the Internet. They permit refunds and refund notices by any means at least as fast and reliable as first class mail. They clarify sellers' refund obligations for orders using payment methods not specifically enumerated in the Rule (``non-enumerated payments''). They require sellers to process any third party credit card refunds by seven working days after a buyer's right to a refund vests. On Tuesday, September 30ht, Consumer Product Safety Commissioner Joseph Mohorovic will meet with Arlene Blum of the University of California Berkeley’s Green Science Policy Institute, Malin Nasman of IKEA US, and Dave Planning of the Business and Institutional Furniture Manufacturers Association to discuss national and California furniture flammability standards. As Vice President of Manufacturing for Sullivan Carson, I worked with the National Textile Association, and specifically with David Trumbull, for 17 years. At Sullivan Carson we relied on David to guide us through the maze of trade agreements, implementing regulations, and enforcement policies that were a part of the textile industry. Specifically, David was able to show us, on a customer by customer basis, how, when and where we could use domestic and foreign yarns for in our production. Using this information to drive our purchasing strategies, Sullivan Carson easily saved $250,000 a year for almost 15 years. On a personal level, David is great to work with. His explanations and advice are were always clear, to the point and actionable. David is readily available to help and has a remarkable ability to find information in minutes that typically would have taken me days to locate. If I can answer any questions about David, or be of any other assistance, please do not hesitate to contact me at james.carson.jr@gmail.com or (803) 792-2183. The Manufacturing Council will hold its final meeting of its term on Wednesday, October 15, 2014, to discuss and deliberate on final recommendations addressing: workforce development best practices; strategies to address misconceptions of manufacturing careers; innovation, research and development in manufacturing; and export growth opportunities for U.S. manufacturers. Additionally, the Council will receive updates from representatives of the U.S. government on the manufacturing initiatives taking place across federal agencies. A final agenda will be available on the Council's Web site one week prior to the meeting. The Council advises the Secretary of Commerce on government programs and policies that affect U.S. manufacturing and provides a means of ensuring regular contact between the U.S. Government and the manufacturing sector. 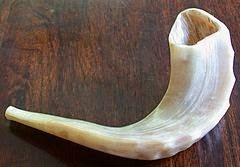 Sundown today marks the beginning of the Jewish New Year. Agathon Associates sends best wishes to all our clients and friends observing this holiday. David Trumbull, Principal, Agathon Associates, and Jonathan Stevens, President and CEO, American Textile History Museum, attended, last Wednesday, the launch party for American Woolen Company. For more information CLICK HERE for a report by the Journal Inquirer. At issue was whether the boots are classified in subheading 6401.92.60, Harmonized Tariff Schedule of the United States ("HTSUS"), as waterproof footwear having soles and uppers with an external surface area of over 90% polyvinyl chloride, with rate of duty of 4.6%, or, as other waterproof footwear of subheading 6401.92.90, HTSUS, with rate of duty of 37.5%. On May 21, 2014, the March Joint Powers Authority, grantee of Foreign Trade Zone ("FTZ") 244, submitted a notification of proposed production activity to the FTZ Board on behalf of ModusLink Global Solutions, within Site 5, in Riverside, California. ModusLink performs assembly, kitting, programming, testing, packaging, final stage processing, warehousing and distribution of GoPro cameras and accessory kits in combination with other related items including but not limited to accessories, gift items and batteries. ModusLink sought production authority for combining imported components and parts into a retail package that will result in a tariff shift for those components. The kitting will cause a tariff shift as the package will be classified according to the essential character, the camera. This will result in the kit falling under a new HTS subheading of the finished product. The result would be a single finished product with a lower duty rate than the rate on the foreign components. There are two textile product components in the kit, a textile bag pack (classified at 4202.92 Harmonized Tariff Schedule of the United States, with rate of duty of 17.60%) and chest mount harness (classified at 6307.90 HTSUS, with rate of duty of 7.00%) ModusLink will lock in Privileged Foreign Status for textile items, meaning that for those textile items the full duty will be paid and the only benefit, as relating to the textile inputs, will be a deferral in the payment of the duty, which will be paid when the finished kits are shipped, rather than when the components were imported. The stated purpose of granting patents is to provide an incentive for inventors to innovate and to share their innovations with the public. And as with all public policy it is fair to ask the question: Does patent policy actually influence the behavior of inventors? It turns out this is a tough question to answer. While the anecdotal evidence suggests that patents are doing their job, a truly rigorous study of the question is hindered by two problems. The first problem is that you really can’t measure behavior statistically. You can only measure changes in behavior and changes in behavior have to be driven by changes in policy. And since US patent law and policy has been pretty stable since the 1950’s there are only a limited number of changes available for study. The second problem is that once you have a policy change one still has to be able to separate the behavior change caused by the policy from other societal factors that may drive changes in behavior. Patent policy isn’t the only factor that drives inventive activity. The number of patents granted will be influenced by economic activity, education and income levels as well as host of other potential factors. In 2010, David Abrams attempted to measure if patent policy can impact innovator behavior. And in Did TRIPS Spur Innovation? An Empirical Analysis of Patent Duration and Incentives to Innovate he appears to have found an answer (yes). For the change to the system, Abrams chose the 1995 implementation of the TRIPS agreement which was part of the GATT approval. Specifically, in the TRIPS agreement the US agreed to change the patent term from 17 years after the patent issue date to 20 years after the patent application date. Once Abrams chose the change, his next problem was to isolate the change from other societal factors. What Abrams did was to use a “difference in differences” methodology. Abrams described this methodology using an example. Assume that bankruptcy laws were relaxed significantly for people who earn less than $150,000 per year but not for people who earn over that amount. Then if, after passage, there is a 10% increase in the rates of bankruptcy the initial conclusion might be that the law increased bankruptcies. What Abrams points out is that there is a way to test this conclusion: compare bankruptcy rates for people who earn less than $150,000 with those who earn more than $150,000. His argument is that if the bankruptcy rates between the two groups both increased by 10%, then the law probably had no impact. Conversely, if there is a significant difference in the increases between the two groups, then the law probably had a significant impact. Abrams took advantage of the fact that the TRIPS increase in the patent term would be offset by the processing time the USPTO took to approve the patent. Because these processing times vary by patent classification code, Abrams reasoned that if inventors were rationally influenced by the change in term, he would see more applications in patent classes that had shorter application processing times compared to those with longer processing times. And, after analyzing over 800,000 patents, this is exactly what he found. It doesn’t look like this increase in patent quantity came from a reduction in quality. Abrams compared forward citations, (a typical quality measure for patents) for patent applications made before and after the term change and found no significant difference. Unfortunately, since Abrams was measuring differences instead of absolutes there is no way to quantify an absolute increase in applications from this study. To be fair, the value of an empirical study with this result is limited. What makes this study worth noting is that by demonstrating that inventors and innovation can be influenced by patent policy, Abrams created a methodology that allows future researchers to separate the impact of patent policy from other societal factors. What they will discover only time can tell. Glove and method for producing the same: A glove having excellent moisture permeability and abrasion resistance of a back portion, and does not trap heat or retain moisture. A glove has a coating layer of rubber containing air bubbles formed on the back portion of the glove. The moisture permeability of the coating layer ranges from 1000 to 9000 g/m2·24 hrs. Patent: 8689363. Inventors: Kishihara and Ii. Assignee: Showa Glove Co.
Belt adjustment system: A heavy duty belt adjustment system that permit a continuum or larger selection of belt loop sizes.. Patent: 8689364. Inventors: Rowland and Hunsucker. Not Assigned. Tobacco plant derived dye and process of making the same: A dye and process to make a dye produced from tobacco plant materials In a preferred embodiment, the tobacco plants are organically grown and the stems and leaves of the plants are utilized to produce the dye. The process percolates a hot enzyme solution onto ground plant materials to produce tobacco plant fiber and the dye. The dye can be produced in many colors, does not require a mordant to bind and does not produce waste.. Patent: 8690966. Inventor: Devall. Assignee: PBO, Inc.
High tear strength flame resistant cotton fabric: An affordable flame resistant cotton fabric with better tear strength. The 100% cotton yarn is produced using a combination of compact spinning technology and gassing and/or singeing process performed in tandem. The yarn is turned into fabric through normal processes. A flame retardant is applied with appropriate finishing chemicals. Patent: 8689413. Inventor: Ramaswami. Not Assigned. FTC to Examine Consumer Perception of Environmental Marketing Claims. The Federal Trade Commission plans to conduct a study to examine consumer perception of environmental marketing claims. Comments must be received on or before October 20, 2014. The Commission's Guides for the Use of Environmental Marketing Claims ("Green Guides" or "Guides") help marketers avoid making unfair and deceptive environmental claims. The Guides outline general principles that apply to all environmental marketing claims and provide guidance regarding specific categories of such claims. These categories include: General environmental benefit claims such as "environmentally friendly"; degradable claims; compostable claims; recyclable claims; recycled content claims; source reduction claims; refillable claims; and "free-of" claims. The Green Guides explain how reasonable consumers are likely to interpret claims within these categories. The Guides also describe the basic elements necessary to substantiate claims and present options for qualifying them to avoid deception. The illustrative qualifications provide "safe harbors" for marketers who want certainty, but do not represent the only permissible approaches. Currently, the Guides do not provide specific guidance regarding "organic" claims. On September 18, 2014, United States Trade Representative Michael Froman, joined by President Trumka of the AFL-CIO, Ranking Member Levin, Representatives Becerra and Price, and Deputy Secretary of Labor Chris Lu to announced that the Obama Administration was taking action on behalf of workers, both here and around the world, by proceeding with a labor enforcement case against Guatemala under the Dominican Republic-Central America Free Trade Agreement ("DR-CAFTA"). BACKGROUND. On April 23, 2008, the AFL-CIO and six Guatemalan unions filed a petition, the first of its kind, under the labor provisions of DR-CAFTA with the U.S. Department of Labor’s Office of Trade & Labor Affairs. McRae Industries, Inc., Mount Gilead, North Carolina, has been awarded a maximum $6,963,008 modification (P00103) exercising the first option year on a one-year base contract (SPM1C1-13-D-1075), with four one-year option periods. This is a firm-fixed-price contract for hot weather boots. Location of performance is North Carolina, with a Sept. 22, 2015 performance completion date. Using military service is Marine Corps. Type of appropriation is fiscal 2014 defense working capital funds. The contracting activity is the Defense Logistics Agency Troop Support, Philadelphia, Pennsylvania. The U.S. International Trade Commission ("USITC") has instituted an investigation of certain laser abraded denim garments. The products at issue in this investigation are denim garments, including jeans and leggings, that have been abraded with a laser to apply designs or to simulate wear. The investigation is based on a complaint filed by RevoLaze, LLC, and TechnoLines, LLC, both of Westlake, OH, on August 18, 2014. The complaint alleges violations of section 337 of the Tariff Act of 1930 in the importation into the United States and sale of certain laser abraded denim garments that infringe patents asserted by the complainants. The complainants request that the USITC issue a general exclusion order, or in the alternative a limited exclusion order, and cease and desist orders. VF Corporation of Greensboro, NC. The cost of this service is just $2,500 per year. Subscribers joining mid-year will have their subscription cost pro-rated, so you can SUBSCRIBE NOW FOR $1,250. Already Agathon Associates has signed by subscribers in the wool textile, knitted textile, and man-made fiber yarn sectors of the industry. The Obama Administration's goal, via the Trans-Pacific Partnership free trade agreement, of giving Malaysia duty-free access to the American market may have received a setback this week in the form of a report on the widespread use of forced labor in that nation. Malaysia’s electronics sector workforce includes hundreds of thousands of foreign migrant workers who come to Malaysia on the promise of a good salary and steady work – an opportunity to make a better life for themselves and their families. But many are subject to high recruitment fees, personal debt, complicated recruitment processes, lack of transparency about their eventual working conditions, and inadequate legal protections. Unscrupulous behavior on the part of employers or third-party employment agents can exacerbate vulnerability to exploitation, but the system in which foreign workers are recruited, placed and managed is complex enough to create vulnerability even in the absence of willful intent to exploit. The conditions faced by foreign electronics workers in Malaysia have the potential to result in forced labor. In 2012, the not-for-profit organization Verité received funding from the US Department of Labor to conduct a study to determine whether such forced labor does, in fact, exist in the production of electronic goods in Malaysia. READ THE REPORT HERE. Mills Manufacturing Corporation, Asheville, North Carolina (W56HZV-14-D-0115), and Pioneer Aerospace Corporation, South Windsor, Connecticut (W56HZV-14-D-0116), were awarded a $25,350,000 firm-fixed-price, multiyear contract for a maximum quantity of 6,250 MC-6 personnel parachute systems and 3,125 MC-6 canopies Under the contract, the companies will compete for the maximum quantity of both the systems and canopies. Funding and work location will be determined with each order, with an estimated completion date of March 15, 2021. Bids were solicited via the Internet, with three received. Army Contracting Command, Warren, Michigan is the contracting activity. Quincy Bag Co. Inc., Dubuque, Iowa, was awarded an $8,393,200 firm-fixed-price, indefinite-delivery/indefinite-quantity contract, with options, for standard and large sandbags, and poly sheets in support of the National Flood Fight Center. Funding and work location will be determined with each order, with an estimated completion date of Sept. 30, 2015. Bids were solicited via the Internet, with three received. U.S. Army Corps of Engineers, Rock Island, Illinois, is the contracting activity (W912EK-14-D-0005). Data on number of employees by industry in the U.S. is published by the U.S. Department of Labor Bureau of Labor Statistics. Below are three tables showing employment, in thousands of jobs, for three industry sectors than may be of interest the readers of Agathon Associates' Textiles and Trade Blog. Textile Mill Employment (NAICS 313) which covers fiber, yarn, and thread mills and all types of fabric formation and fabric dyeing printing and finishing. Textile Product Mills (NAICS 314) which covers carpet mills; bed, bath, and kitchen linen manufacturing; curtain and draperies; textile bag manufacturing; and cord, twin, and rope manufacturing. Karl Spilhaus, President, Cashmere and Camel Hair Manufacturers Institute and Chairman, American Textile History Museum, will speak at Cashmere World, which will be held in Hong Kong, September 25-27, 2014. Among the topics he will address are the challenges the fine fibres industry faces at the moment. Adequate supply of the best quality raw materials is an increasing problem for the members of CCMI. Vast cultural changes in China are having their effect on the industry. A more affluent population is demanding meat and dairy in their diet and this affects goat production. Actions to prevent desertification are having an effect on the quality and the micron of the raw material as are efforts to increase yield through the introduction of non-cashmere goats. The Agricultural Marketing Service ("AMS") has affirmed without changes, its interim rule to promulgate rules and regulations as provided under the Agriculture Act of 2014 (2014 Farm Bill). The Agricultural Marketing Service (AMS) amends the National Sheep Industry Improvement Center (NSIIC) regulations to redesignate the statutory authority from the Consolidated Farm and Rural Development Act to the Agricultural Marketing Act of 1946, amends the definition of Act consistent with the redesignated statutory authority, and amends the regulations by increasing the administrative cap for the use of the fund from 3 percent to 10 percent. DATES: Effective Date: September 18, 2014. FOR FURTHER INFORMATION CONTACT: Kenneth R. Payne, Director, Research and Promotion Division, Livestock, Poultry, and Seed Program; Telephone 202/720-5705; Fax: 202/720-1125; or email Kenneth.Payne@ams.usda.gov. SUPPLEMENTARY INFORMATION: This action affirms the interim rule (79 FR 31843) published in the Federal Register on June 3, 2014, which redesignates the statutory authority for the program from section 375 (7 U.S.C. 2008j) of the Consolidated Farm and Rural Development Act to section 210 of the Agricultural Marketing Act of 1946 (7 U.S.C. 1621-1627). Join with industry leaders at the 29th Annual Meeting of the American Flock Association, October 27-28, 2014, at North Carolina State University College of Textiles, Raleigh, N.C. This special meeting will focus on the future of the flocking industry and the AFA's relationship with NC State. There will be a tour of the College of Textiles laboratories and an opportunity to discuss technical issues. The registration form and a discount housing link can be found here. Questions? Contact Steve Rosenthal. On August 15h, Revolaze filed patent infringement lawsuits against 17 importers of denim products. They followed this up on August 18th with a complaint against the same 17 importers requesting a 337 investigation from the US International Trade Commission (ITC). If successful, the 337 complaint could result in an exclusion order which would prevent the import of the infringing products into the US. Revolaze manufactures laser etching technology for multiple uses including etching patterns in denim and denim abrasion technology that replaces the existing sandblasting and enzyme processing techniques used by the industry. They own 16 US patents on the technology and claim another 13 patents worldwide. I believe they have 9 additional US applications pending. I haven’t seen the infringement or 337 complaints so I cannot definitively say which patents Revolaze is trying to enforce. However, if you want a feel for what is going on, I would start with their denim patents 6495237, 6807456, 6819972, 6858815 and then two of their broader patents 6140602 and 7699896. So what specifically is a 337 complaint? The 337 complaint gets its name from the section of the original law that created it: Section 337 of the Tariff Act of 1930. In this section, now also known as 19 USC §1337, unfair methods or unfair acts of competition are declared unlawful when they result in substantial injury to an industry, prevent the establishment of an industry or restrain or monopolize trade and commerce in the United States. The law also prohibits the importation of articles that infringe on a US patent. This protection extends to articles that may not themselves infringe on a patent but were manufactured with a process that does infringe on a US patent. The law also prohibits import of articles that infringe on copyrights and trademarks as well as other forms of intellectual property protection. These protections apply when an industry exists within the United States that is related to the protected articles. The indicators that an industry exists are: significant investment in plant and equipment, significant employment of labor and capital, or substantial investment in its exploitation, including engineering, research and development, or licensing. By law the ITC has to initiate an investigation on receipt of a complaint alleging a violation, It can also initiate an investigation on its own authority. If, after its investigation, the ITC determines that a violation has occurred it has three options: it can exclude the articles from entry, it can permit the articles to enter under bond, or it can issue a cease and desist letter. Normally the ITC excludes the articles from entry. The other options appear to be available for situations where the determinations aren’t final, for example when a decision is under appeal or a consent order is agreed to. One advantage of using a 337 proceeding to supplement an infringement lawsuit is that it is an expedited process. Typically, evidence is heard within a year and a decision is usually issued in 16 months. And because this schedule is statutory in nature defendants are less able to delay the proceedings through the use of indefinite extensions or other devices. However, a 337 proceeding only provides import relief. An infringement lawsuit is still required when a plaintiff wants monetary damages or an injunction against domestic infringement. While 337 proceedings are well known in the electronics industries, their use in other industries, including textiles, has been limited. However, it is available to all US patent holders. And based on the reaction of the apparel industry to this case, it would seem to be a pretty powerful tool. Impact-attenuation members with lateral and shear force stability and products containing such members: It’s a different bud and different shoe, but the invention is the same as 8689466. Patent: 8689466. Inventor: Aveni, et.al. Assignee: Nike, Inc. Sole structure with visual effects: A multi-colored effect for a sole for an article of shoe. . Patent: 8689467. Inventor: Miner. Assignee: Nike, Inc. Footwear cleat: A golf cleat with a series of dynamic structures that hold the cleat in place during the stresses of a golf swing. Patent: 8689468. Inventor: Curley. Not Assigned. Removable spat for a shoe: A removable spat to protect a shoe from the mud an muck of outdoor wear. The spat includes a boot portion having a back opening and a front end, and a sleeve connected to the boot portion. Patent: 8689469. Inventor: Foxen, et.al. Assignee: Nike, Inc. The Label Says "Made in USA," But Is It? TPP: What are the Issues?